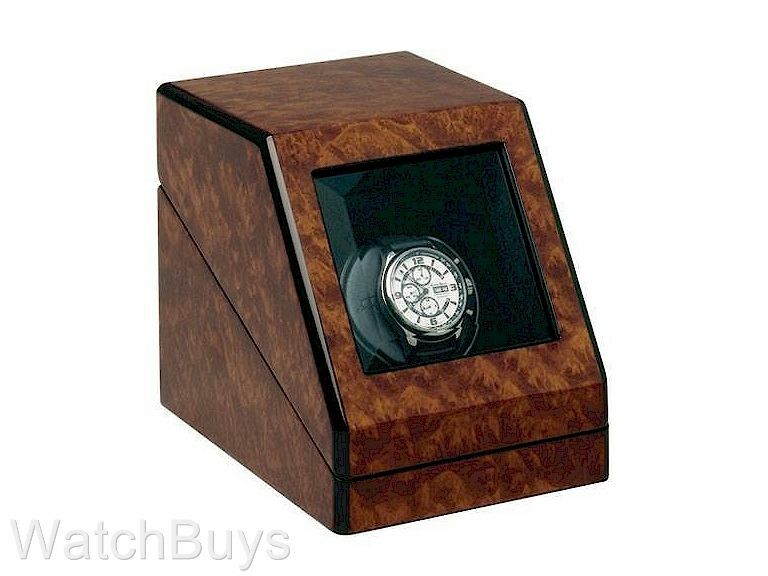 We love the shape and size of this Orbita winder. The sloped front case houses an easily removable drive station fitted with an ironless core gear motor. The case is fitted with a beveled glass viewing panel. User-programmable control allows head direction and turns per day (TPD) to be optimized for the watch being wound. Power is supplied by either easily available "C" cell alkaline batteries or by the supplied AC/DC adapter. A "low" battery light automatically signals when battery replacement is due. Maple Burl with high gloss durable lacquer finish.